We can offer UK based training in Alpine techniques and Alpine guiding overseas in mountaineering, ski mountaineering and off piste skiing. 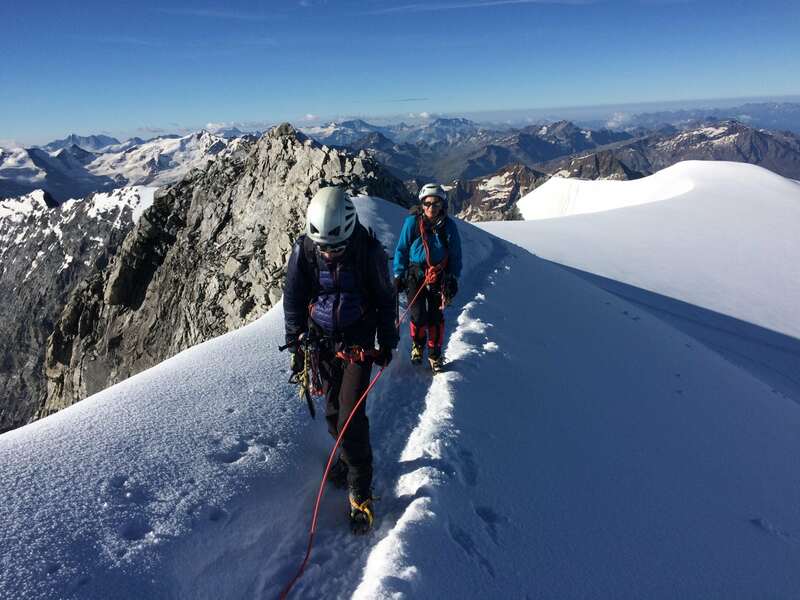 Both Libby and Ric are fully qualified Alpine Guides (IFMGA/UIAGM) and have a lot of experience of climbing and skiing in the bigger mountains of the World. If you are looking for new skills to take your experience further afield or simply a guided experience in the Alps, we should be able to help.